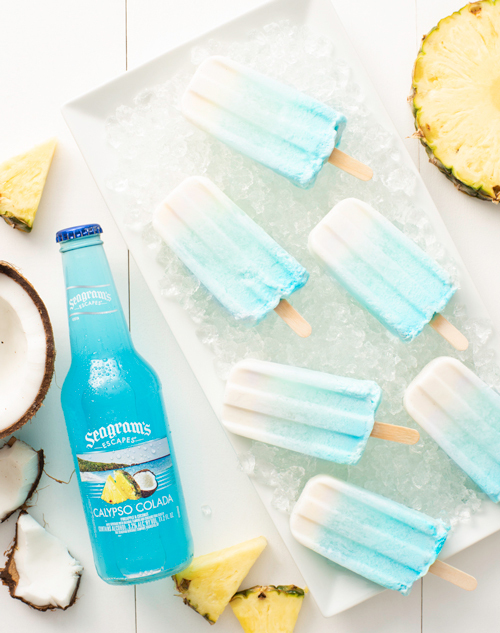 Pina Colada is ideal for a punch, but the bright blue color and pineapple flavor of Calypso Colada takes this traditional favorite to another level. 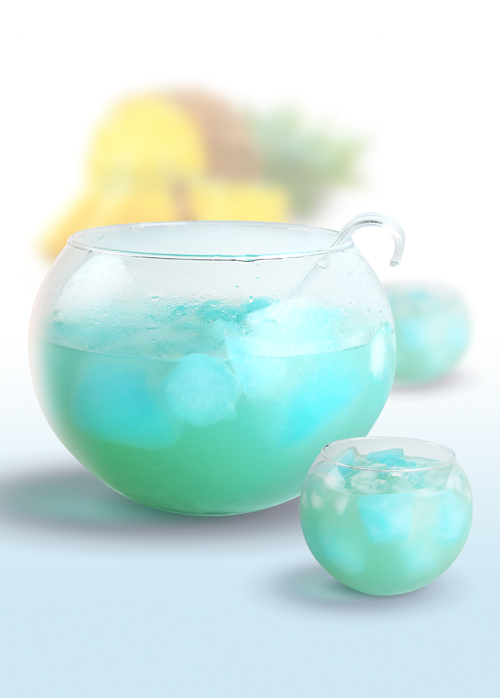 Mix coconut rum and pineapple juice into a punch bowl. 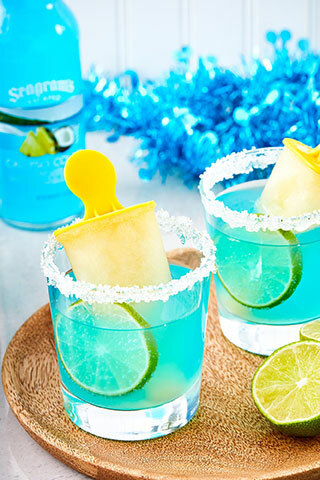 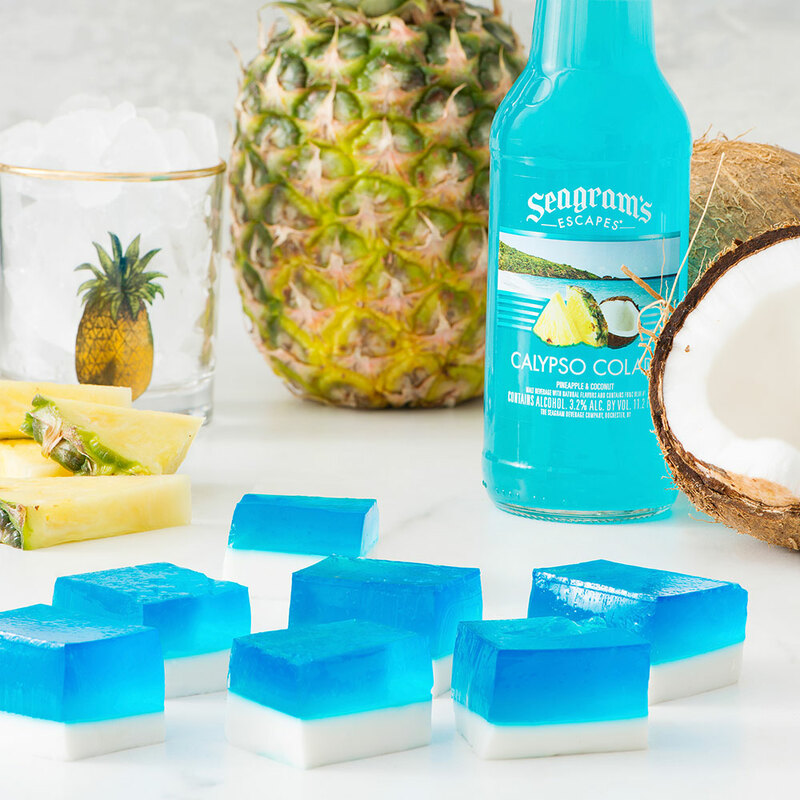 Pour and freeze Seagram’s Escapes Calypso Colada in ice cube trays and add to punch bowl. 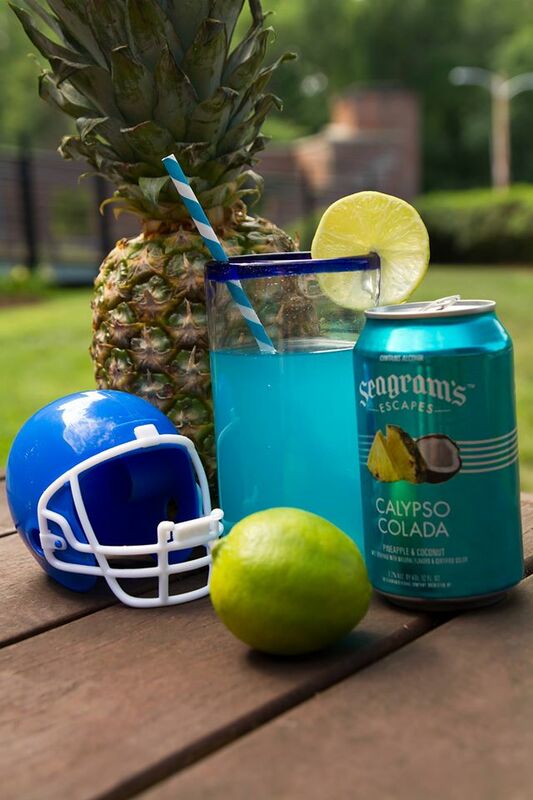 Garnish with fresh pineapple.